The fun never stops here at Sandiacre! On 29th March, we held a Mother’s Day tea dance in our courtyard which featured food, drink and live entertainment. 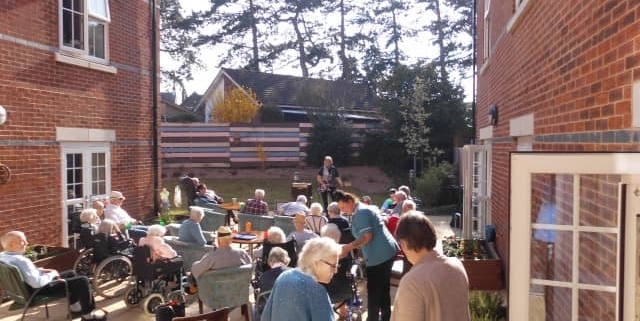 Our residents were able to enjoy the sunshine whilst listening to Max Silver who kindly sang 1950’s and 1960’s music for us all. 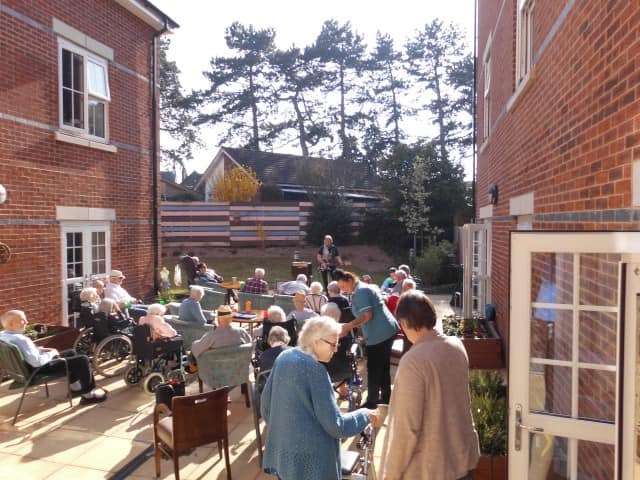 Both residents and staff joined in with the singing, with many even having a dance or two! Additionally, a huge thank you to Lollipop Pony Parties for their visit on 1st April. They brought two of their ponies, one named Tinkerbell and one named Lollipop, and the residents were absolutely delighted to interact with the animals. The company was with us for an hour or so and the experience left our residents grinning from ear to ear.